This program is part of a series that features the lives and careers of some of the greatest figures in sports history. This episode, hosted by Jayne Kennedy, profiles football great Walter Payton. 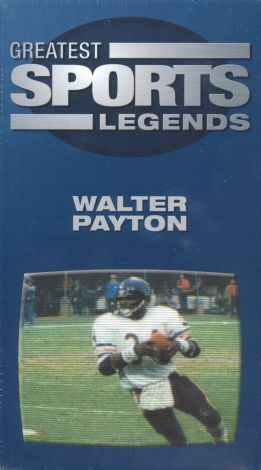 Known to fans as "Sweetness," Payton achieved star status as a running back for the Chicago Bears from 1975-1987. Bears coach Mike Ditka said that Payton was the greatest all-around player who ever played football. The hall of famer became an entrepeneur on retirement from football. Never forgetting his own humble beginnings, Payton was known for his philanthropic work through his foundation to aid impoverished children. Payton's untimely death from liver cancer in 1999, at 45 years of age, saddened the nation. Archival film clips, photographs, and interviews with fellow players, coaches, fans, friends, and family tell the story of this sports hero.